After WWII the United States Navy had a huge fleet of ships and thousands of sailors that suddenly didn’t have a war on their hands. 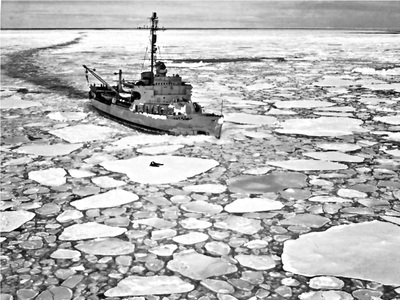 Admiral Byrd approached Secretary of the Navy James Forrestal and Chief of Naval Operations Chester Nimitz to suggest a new expedition to Antarctica would be an ideal way to utilize some of these resources. They agreed so Operation Highjump was launched in 1946. With Admiral Byrd in overall command Highjump was the largest expedition to Antarctica up to that time. 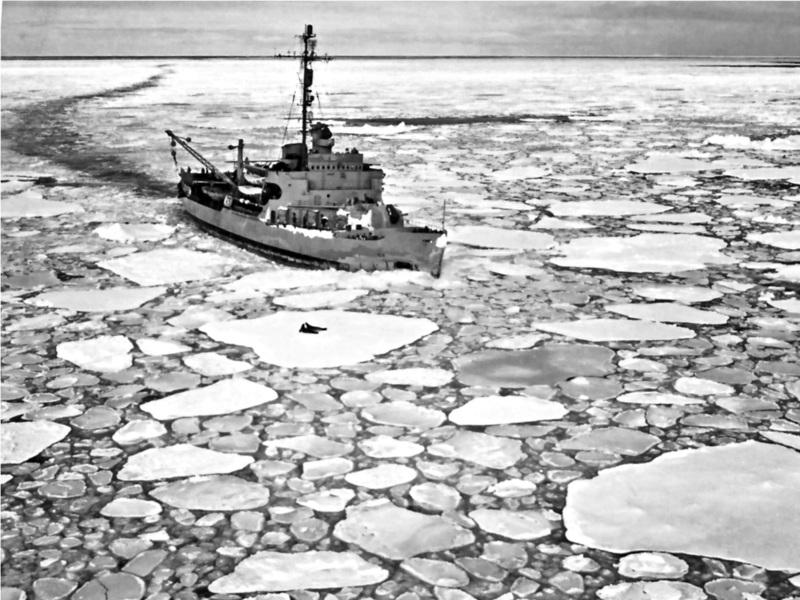 It consisted of 4,700 men, 13 ships (including an aircraft carrier, submarine, and two ice breakers), 19 airplanes, four helicopters, and a large contingent of scientists. 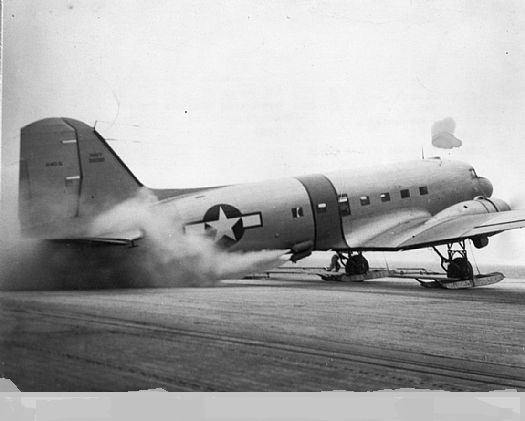 On board the carrier Philippine Sea were six Navy R4Ds (military version of the twin engine DC-3). The deck was way too short for a conventional take off so they strapped JATO (for Jet Assist Take Off) bottles on the planes, these external rockets gave the planes the velocity to fly in a very short space. These ski-equipped planes landed near Byrd’s Little America base camp on the Ross Ice Shelf and established Little America III. Two of the R4Ds would later fly to the South Pole, one with Admiral Byrd aboard, and on into unexplored territory beyond the Pole. Highjump was organized in three groups. 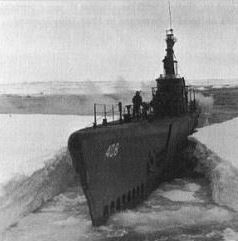 The Eastern Group explored the coast between Little America and the Palmer Peninsula, the same territory covered by the U.S. Antarctic Service. The Central Group explored the Ross Ice Shelf, Transantarctic Mountains, and polar plateau. The Western Group explored the coast of Antarctica south of Australia. Vast stretches on new land were mapped and the expedition returned with a large quantity of meteorological and other scientific data.